Click image for audio link. "I could see what silliness was going on while it was happening..."
Armistead Maupin is every bit the gentleman you expect him to be. He's crisp, smart and quite easily manages the paradox of being quietly outspoken. Sure, he's not in the narrative, but he's there in every one of the Tales of the City novels, especially the latest, 'The Days of Anna Madrigal.' He doesn't need a Hitchcock-style cameo. He's the embodiment of his books, and they are his literary twin. To me it seems obvious that he is the Charles Dickens of San Francisco, and I am accordingly honored to speak with him. I'm inured to my own book-dweebishness, so I feel no shame toting my two omnibus editions of the Tales of the City series. Like anyone, I'd love to have a selection of the first edition hardcovers, but back when they were coming out, I was still buying Arkham House H. P. Lovecraft. Only after I moved up here did I chance on these in Logos Books. I think they are fine volumes to hold and read. If you've not twigged to Maupin, they're the perfect place to start. 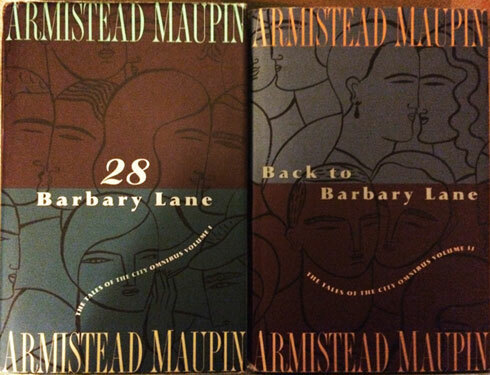 Maupin told me that they first came out via UK Publisher Chatto & Windus. I love this publisher and have many books by them, though my versions are the HarperCollins domestic editions. 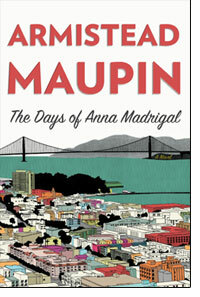 Maupin's books in this series are superb for reading-as-you-go. It's a lovely world to visit. He also told me, off-tape, that a third volume (with the last three books in the series) is forthcoming. I will be the first in line, just because I'm the sort of guy who likes standardized series stuff. Yes, you sacrifice first edition hardcover, but in return get a super reading book, and sometimes, you have to go with that. Not having had a chance to speak with him in the past, this interview is a career retrospective, sort of, with particular attention to the matter at hand. You can hear it immediately. He is just the guy who wrote these great, funny books about great, funny normal people. 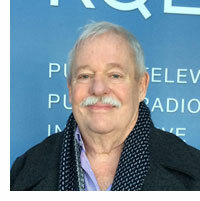 You can check in and relax with one of Armistead Maupin by following this link to the MP3 audio file. Here's the one-hundred ninety-fifth episode of my series of podcasts, which I'm calling Time to Read, or when I warn the writer in advance, the lightning round. This is turning out to be really fun, and especially since I get to take on my game show host persona. This week, I'm way behind, but who knows what the hell might happen. I am hoping to get back up and stumbling. I have lots of great books in the hopper to review and lots of great interviews to podcast. The podcasts/radio broadcasts will be of books worth your valuable reading time. I'll try to keep the reports under four minutes, for a radio-friendly format. If you want to run them on your show or podcast, let me know. My hope is that in under four minutes I can offer readers a concise review and an opportunity to hear the author read from or speak about the work. I'm hoping to offer a new one every week.